Facebook fan page is the most required thing for your brand or website to reach more people via social. Facebook Pages by default applications for Photos, Videos and Events, if you would like to add custom pages with other information like product Look Book, Offers, etc. 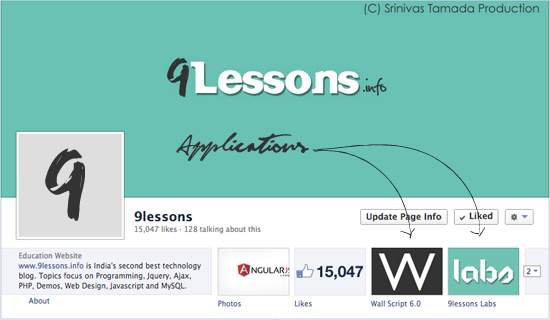 This post explains you to how to create an application for Facebook Fan page, take a quick look at the following steps. Create a simple HTML page with the following dimensions. Take a look at this page. Note: Facebook allows only https SSL urls, try to host your pages at Dropbox or Google Docs. Copy the application ID from the URL. Execute the following URL with your application ID. You can change the application display position while clicking edit icon. thank you , for the tutorials. thanks for the tutorial, srinivas your awesome! Nice one, but having troubles hosting the file at dropbox and Google drive. Facebook keeps displaying a connection error eventhough I got the link to the hosted file from both dropbox and G drive. I suspect they are not reading the file as HTML or what could have happened? I really need your help pls. Dont have SSL on my domain, wld av used that. All process done very well but there are only blank page appear..!! whats wrong with me.. files are uploaded on google docs and sharing permissions are according to public that anyone can view .!! please resolve this problem..
thank you for this toturial. Why set a width of 730px when it can be 810px? thanks for the great tutorial.Your websites design is very nice and it loads very fast. Great :) thank you for this Tutor.. 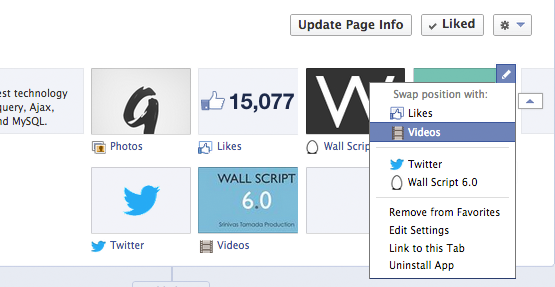 I've followed the steps but being shown a Dropbox error on Facebook. Anybody else had this problem? For those of you getting an error in Facebook, make sure you use the public link of the .html in Dropbox but shorten the link before copying. Does this mean that I really have to get an HTTPS to make an app? It's been a while since my last creation of app which allows me to make an app even with a ghost HTTPS link. Also how can i make google docs to host my files? I tried uploading a file in google drive and used its link as the Canvass URL and Secure Canvass URL but when I load my app page it's not working. Am I missing something? Hope to hear from you soon. Thanks! thank you . ... .
How can I create a custom image to share on facebook containing user data/images in PHP. Although I can develop html for the same but could not convert it to Image. Hello sir ..I have crerated a google drive hosted page..but after adding to facebook application.It doesnot appear. Am very much inspired with you sir .. Hats off to u !!!! 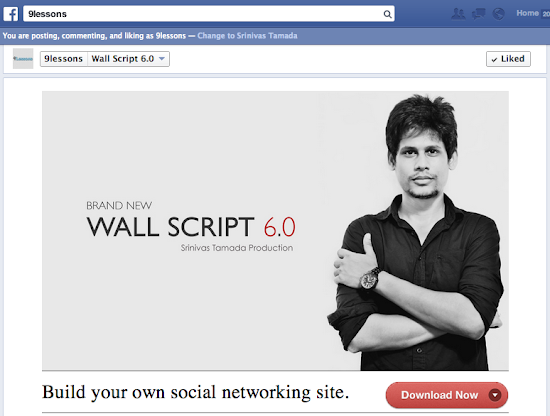 How to create Facebook New Application using PHP ?